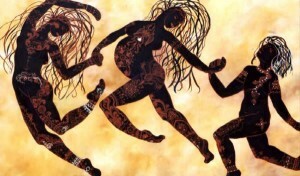 My dear friend, Sexologist Dr. Linda Savage, another Sensual Sage, inspired me to select the Triple Goddess archetype as the basis for a series of Sensual Retreats for Women. Graciously, she gave me permission to use her beautiful and concise description of each of these archetypes, which integrate the wholeness within that each of us. As women, we can and must embrace each of these three aspects of Divine Feminine to fully and beautifully step into our authentic selves. While the general focus of this series will be around our sexual and sensual selves; it is imperative that each of us also understand that without fully stepping into our authentic selves, we cannot attain the full richness of what it truly means to be a woman. This particular event is an introduction to the entire series which will then expand to gatherings which will address each of the Maiden, Mother, Crone archetypes. All will include sharing, sisterhood, dance, tears, laughter and of course CHOCOLATE. It will be REAL! Won’t you join us for this celebration of the Divine Feminine in each of us?